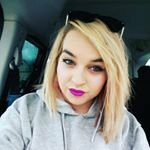 Beauty, lifestyle and disability Blogger. Smells really good. Leaves me feeling fresh all day. Even works throughout 2 hour intense training sessions. Definitely reduces drying time which helps prevent smudging. I do find it a bit gloopy and stringy though.